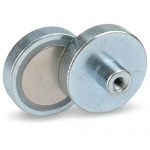 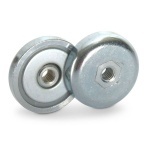 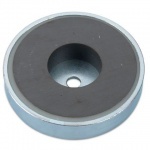 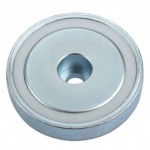 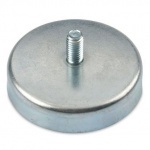 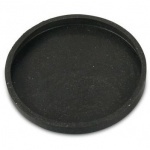 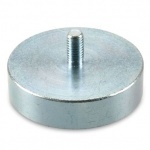 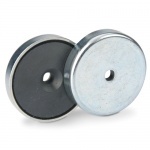 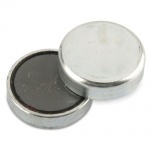 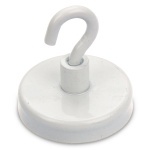 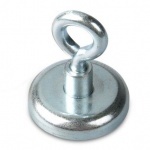 Our neodymium and ferrite pot magnets, used for mounting and fixing as well as shopfitting and grip heavy loads are made of a magnet core that is integrated in a round steel pot - so that the magnetic force is higher on the side that attaches. 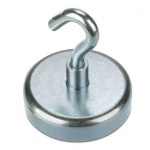 They can be easily mounted for a secure attachment and to lift or grasp. 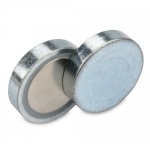 Variants are available with neodymium and ferrite magnetic core and with many mounting possibilities such as external thread, threaded bushing, internal threaded hole, countersunk hole and many others!